We develop a new FIA-system with 5cm-Photometer. 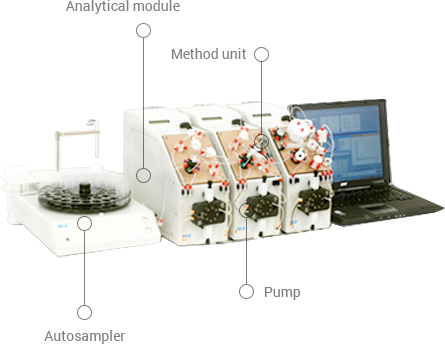 The FIA system of MLE GmbH Dresden is an automated analytical system designed for laboratories of water and environmental analysis. Parameters of samples are photometrically measured with standardised procedures. The applied technique of flow injection analysis has been become a standard method for ion analysis of aqueous samples, food extracts and eluates from soil. 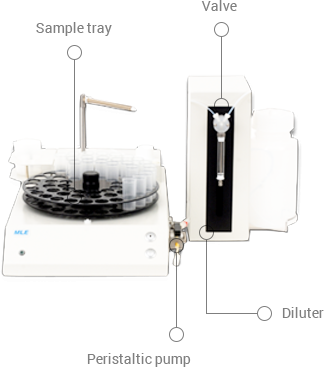 The autosampler can be used in diverse analytical techniques (AAS, TOC, FIA etc.). Another field of application of the autosamplers is sampling and sample preparation.